Kids ages 8-15 years are invited to join our Clinton Sharks swim team for our 4th season! They compete against area teams at meets on July 10, 12, 17, 19, & 24. 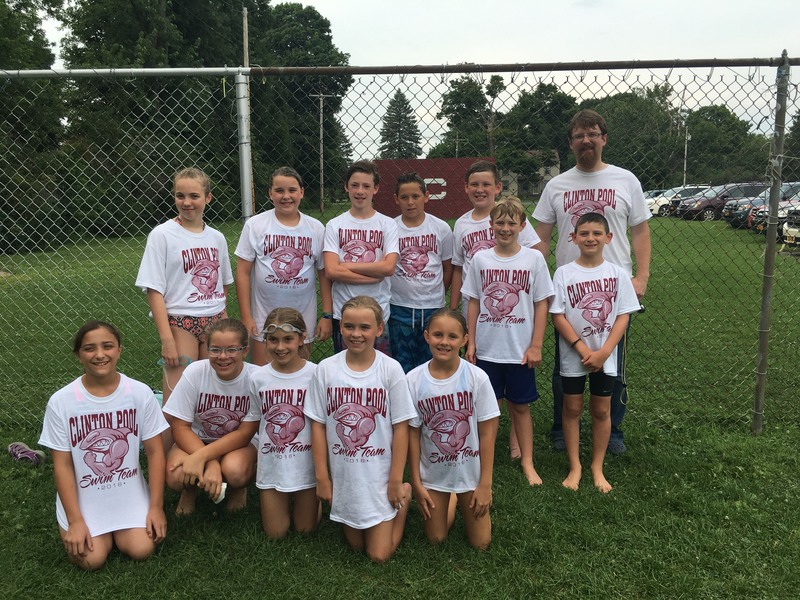 Championship swim meet: July 26. Cost is $30 per swimmer (includes a team t-shirt). Checks can be made payable to the Clinton Youth Foundation. Swimmers should be able to swim the length of the pool. Team is limited to 25 members; register now to save a space! For more information/questions, contact Stacy Butcher at 315-723-9136 or the pool (after June 16) at 315-853-5687. To sign up for the swim team, download and print the this form. Please return it either by mail to the Clinton Youth Foundation, PO Box 32, Clinton, NY 13323 or drop it off at the pool after opening day on June 16.